Born and raised in Tokyo, Rie Alkemade holds a masters degree in Global Criminology from Utrecht University in the Netherlands. Interested in the phenomenon of organized crime, she decided to focus on the topic of women in the yakuza – a subject about which little has been formally studied. Being fully bilingual, she herself conducted and translated interviews for her masters thesis ‘Outsiders Amongst Outsiders’: A Cultural Criminological Perspective on the Sub-Subcultural World of Women in the Yakuza Underworld”. The following has been excerpted from her work, which can be read in its entirety here. …Unlike Western mafia wives, yakuza wives have remained outside the sphere of criminal activity in this organized crime structure, remaining in the passive emotionally and financially supportive role. 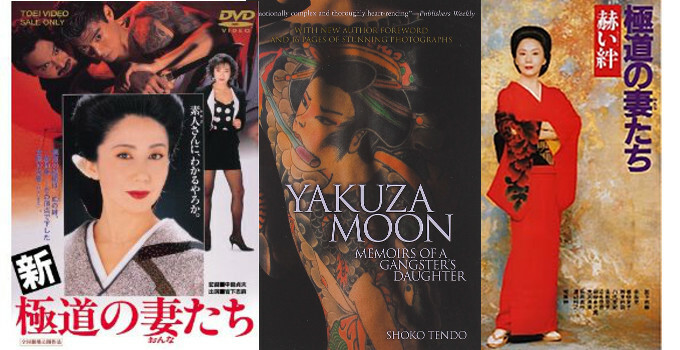 This research further explores the ways in which these women have adapted to their set circumstances by creating a parallel shadow subculture, an exclusively female ‘sub-subculture’ within the yakuza itself in which they create a sense of solidarity, pride, and confident identities by adopting and mimicking the yakuza rituals and customs as their own. There appears to be in the modern age amongst the members of mainstream Japanese society a belief in the ‘myth’ of the onna-oyabun or the ‘female godmother’ in the yakuza underworld. A general lack of media coverage on this ‘phenomenon’ and an attraction for popular media to portray such onna-oyabuns (namely The Yakuza Wives series in Japan and the character of O-ren Ishii in Kill Bill: Vol. 1 internationally) have caused many to wonder whether such female bosses truly exist in the yakuza society or whether they are fictive creations and fabrications of popular culture. Further reading on this subject would reveal that there have indeed been real cases of women who can be described as onna-oyabuns. Though rare today, they were not unheard of in history. Back in the feudal times of the Edo era where gambling was the primary activity of the yakuza’s ance stors, female gamblers were a common sight and therefore there was a greater possibility for a woman to take control of her own crew of gamblers. In the years before and after World War II, documented cases can be found on the “many female delinquents, female gurentai, and female yakuza” with famous female oyabuns ruling in the areas of Yokohama and Tokyo. 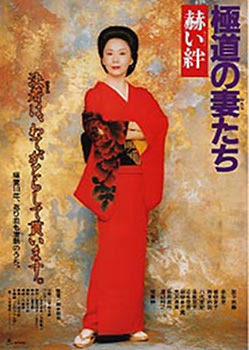 However as times have changed and the yakuza itself has changed, modern researchers have generally come to the conclusion that these numbers have waned, painting an entirely different picture in the world of today: “These women were clearly integrated into the structure of a crime ‘syndicate’ and more than once engaged in the ritual of the exchange of cups of sake that sealed their ties of vassalage. Today, these rituals are no longer used. And there was no longer female gang leaders”. Similarly, an interview with an anonymous (male) oyabun reveals that “[there] probably aren’t any onna-oyabuns today. It’s probably just in the world of films. There used to be some before, though. […] There were quite a few female gamblers”. I: Is it true that there are few to none female yakuza members? R: Yes, she was the boss of a tekiya group. She’s passed away now, but I did meet her long ago. I: What kind of woman was she? The number of academic research conducted on how these women meet men from the yakuza underworld are close to none. As encountering and marrying a yakuza member in itself is not against the law, the police have no reason to prioritize or finance such research or gather statistics in this field. Therefore most of the knowledge needed must be taken from autobiographical and biographical accounts and anecdotes from those familiar with or have encountered the yakuza society. “Firstly, the women work in the mizushoubai industry, or the entertainment and ‘nightlife’ industry. They may work in bars, late-night restaurants or as hostesses. The men often show off their wealth to impress these women. […] This pattern usually is the case for higher-ranking members or the bosses, who have the money to spend. In all of these accounts, the respondents appear to stress the fact that these women were once juveniles themselves, thus explaining how they are able to meet such men: through association. These accounts also stress that these women have also come from disadvantaged backgrounds, forming a common ground with the yakuza…. The entire thesis with citations and references can be read here. For the record, “juvenile” comes from Latin, and it just means “young”. It is used here apparently as a shortened form of “juvenile crime” or “juvenile delinquency”, but there should be no bias attached to this word. If you want to be a side piece with cole slaw, mistress. You’re more than welcome lol. First wife gets the first cut, priority, and will most likely be 100% Japanese or Half but Japanese no less. Go stick with your own people. Stop fantasizing over someone’s else’s culture. FYI you have never be a Native American and will never be one just a imposter liar 5 dollar Indian. Not being racist but straight up! Be you and we will be who we are. Period! I believe the last piece of your comment is completely unrelevant to Kia’s question. Nobody asked for your opinion on wheter subafrican people are native american or not, and I think that calling her “an imposter liar 5 dollar Indian” IS straight up racist, as well as really offensive. And FYI, commas are a thing. Go use them. Period.